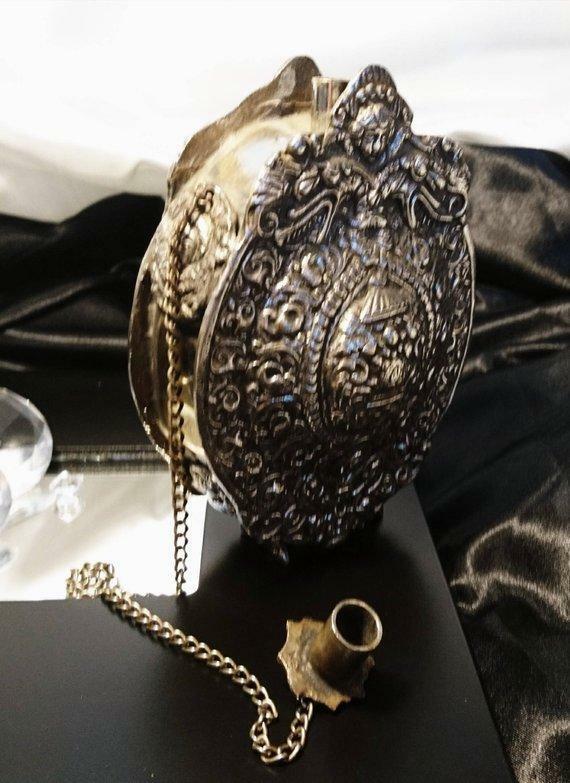 A spectacular piece of antique military history, dating back to the 1700's this incredible Russian powder flask is built from heavy solid brass and has been silver plated. 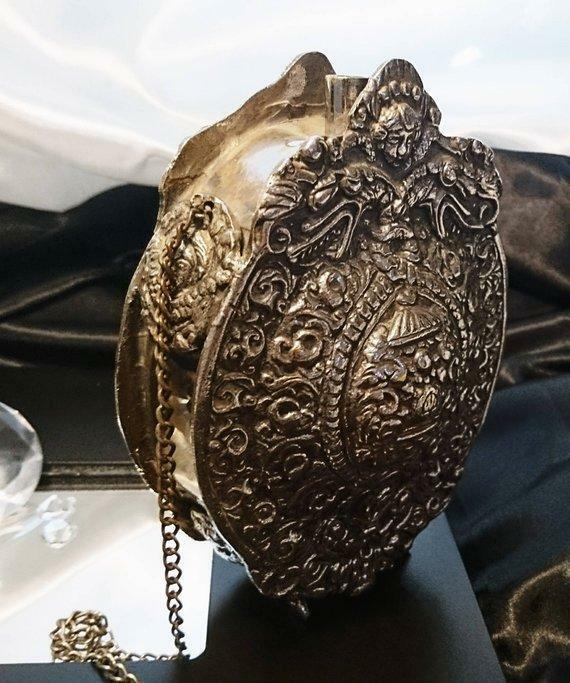 It features heavy repousse metalwork decoration including faces and foliate design and a type of central crest. 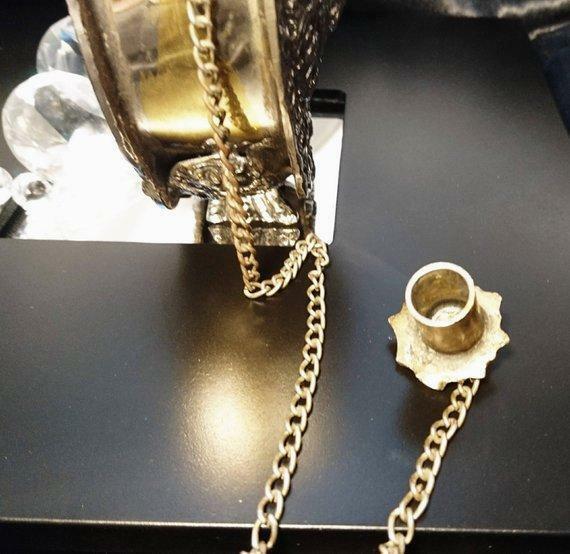 The powder flask has a metal stopper that fits to a chain, the chain is attached to the side of the flask to one of the metalwork faces, there is a further metal loop on the other side so that a further chain can be attached. 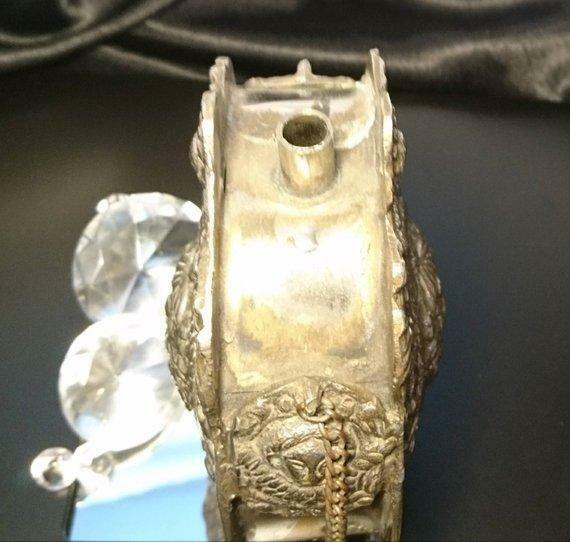 It is highly decorative and in fantastic condition for the age. 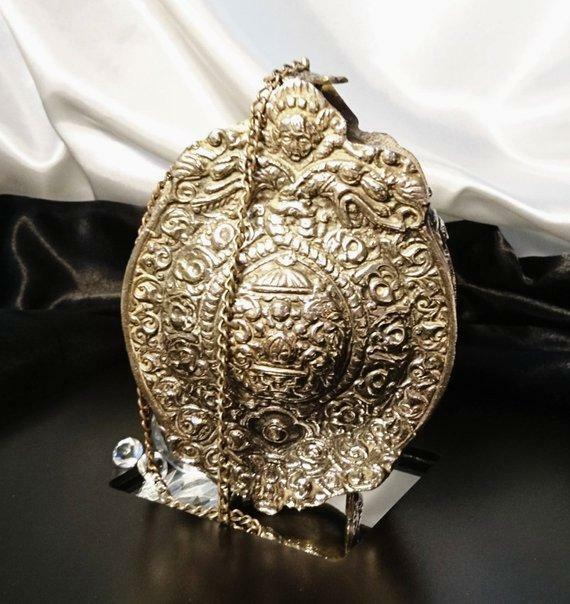 Used to carry and store gunpowder, these powder flasks can usually be found in leather and brass or horn, it is a rare find to come across the more grand ones as they are usually kept for many years in private collections or museums, this one has come to us as part of a private collection from a prestigious estate. 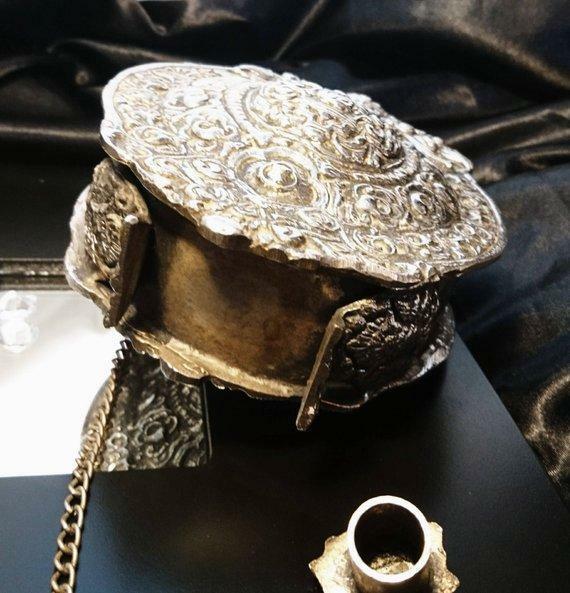 It is very heavy and very well made, there are some signs of wear mostly to the sides and the feet but incredible for its age. 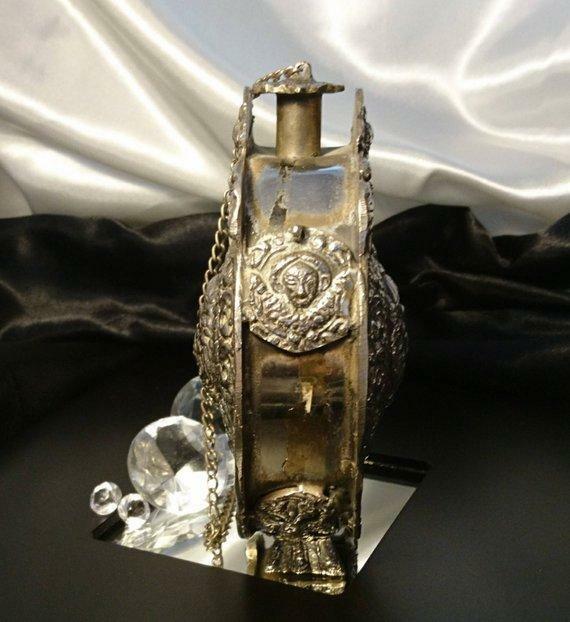 Very rare find, perfect for the collector and a great conversation piece. This is not to be confused with Electroplated and is an earlier leaf method of plating created very early in the first few centuries, originally for forgery! 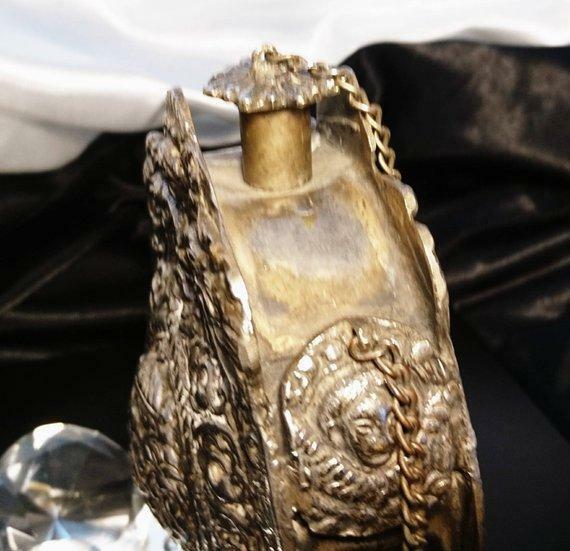 The technique was later used to decorate objects with silver and was prior to the invention of the well known electroplated method.